(NCI, Jhajjar), Radiation Oncology-NCI, Jhajjar, Surgical Oncology-NCI, Jhajjar, Hospital Admn.-NCI Jhajjar, Radiology-NCI Jhajjar, Lab. Medicine-NCI Jhajjar. Salary:- Assistant Professor: Rs.1,00,000/- per month (consolidated). Upper Age Limit: 50 (Fifty) years. However, relaxable for Government Servants, Scheduled Castes, Scheduled Tribes or otherwise exceptionally qualified applicants up-to 5 years and 3 years in the case of Other Backward Class candidates. The date of Walk-in-interview will be the date for considering upper age limit. Candidates fulfilling all the eligibility criteria may report for walk-in-interview by 8.30 AM on 13.11.2018 & 14.11.2018. with his/her application in the prescribed proforma available in the Institute’s website along-with duly attested copies of certificates/testimonials and the original certificates/testimonials etc. in the Committee Room adjacent to the office of the Director, AIIMS, New Delhi for verification. The candidates, who report after 9.00 A.M. will not be considered. 1. The appointment is purely on CONTRACT BASIS for a period of one year or till such time the alternate arrangements are made, whichever is earlier, with effect from the date of joining. However, the contractual appointment shall not be extended beyond the period of two years. If the contract is not extended further, the same will lapse automatically. The appointment can also be terminated at any time, on either side, by giving one month’s notice or by paying one month’s salary, without assigning any reason or failure to complete the period of three months to the satisfaction of competent authority. 2. The consolidated remuneration for the post of Assistant Professor will be Rs. 1,00,000/- per month (consolidated). 3. The appointee shall perform the duties as assigned to him/her. The competent authority reserves the right to assign any duty as and when required. No extra/additional allowances will be admissible in case of such assignment. 4. The appointee shall not be entitled to any benefit like Provident Fund, Pension, Gratuity, Medical Attendance Treatment, Seniority, Promotion etc. or any other benefits available to the Government Servants, appointed on regular basis. 5. The appointee shall not be granted any claim or right for regular appointment to any post of AIIMS. 6. The appointee shall be on the whole time appointment of the AIIMS and shall not accept any other assignment, paid or otherwise and shall not engage himself/herself in a private practice of any kind during the period of contract. 7. The appointment to the said post will be subject to medical fitness from the competent medical board for which he/she will be sent to the designated Medical Authority. 8. Leave entitlement of the appointee shall be governed in terms of instructions contained in DoPT&T’s O.M. No.12016/3/84-Estt. (L) dated the 12th April, 1985 as amended by OM No. 12016/1/96-Estt(L) dated the 5th July, 1990. 9. On appointment, the appointee will be required to take an oath of allegiance to the Constitution of India or make a solemn affirmation to that effect in the prescribed proforma. 10. The appointee is not entitled to any T.A. for attending the interview and joining the appointment. 11. Other conditions of service will be governed by relevant rules and orders issued from time to time. 12. If any declaration given or information furnished by him/her proves false or if he/she is found to have willfully suppressed any material, information, he/she will be liable for removal from service and also such other action as the Government may deem necessary. 13. The appointee shall not be entitled to avail any allowances/facilities being extended to the regular/permanent faculty members of the AIIMS. 14. 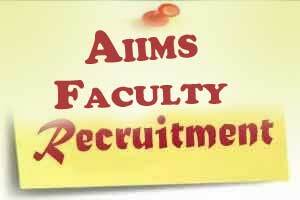 The AIIMS, New Delhi reserves the rights to increase or decrease the number of vacancies. CONTRACTUAL AGREEMENT IS MOST STUPID WAY OF TAKING UP THE JOB. JUST BY SIGNING AN AGREEMENT YOU HAVE STUCK WITH THE PLACE FOR ONE FULL ACCADAMIC YEAR. YOU ARE LIVING WITH UNCERTAINTY THE DAY YOU SING UP. ONE HAS TO SLOG LIKE DONKEY WITH ANY BENIFTS & PREVILAGES LIKE THEIR COUNTER PARTS / COLLEAGUES. THE AGREEMENT IT SELF IS VERY INMIDATING / SCARY. JUST FOR TRANSFER OF RESIDENCE IT WILL COST MORE THAN MONTH REMUNERATION. ( NOT A SALARY). WHEN A PERSON GET MORE THAN 2 TO 3 LAKHS BY TAKING UP NHM/ NRHM ……WHY ANY BODY WOULD ANY BODY THINK ABOUT TAKE UP SUCH AN INSECURE JOB.